Be the Church, circa., 2005 – present. Be the Church: Love God, Love Neighbor, Make Disciples. The story behind the mission statement….In worship on Sunday, October 23, 2005, the congregation voted at both services to re-root their congregational identity and missional vocation in the Great Commandment and Great Commission. A three-year old member drew it on her bulletin, a cross in a circle that represented our vertical relationship with God, our horizontal relationship with people and creation, and the circle representing the Earth, our home and the locus of God’s redemptive mission. What does be the church mean? Short answer: We don’t go to church…We are the Church! The Church is a Community of Disciples. Being the church means conforming to the image of Jesus in our life together for others and the sake of the world. (Romans 8:29a) The path of growing in Jesus’ likeness is characterized by deepening love of God and love of neighbor. (Luke 10:27) This for us defines what it means to be a disciple-making church and what First Lutheran understands as the Big Idea. The Marks of Discipleship. Spiritual and emotional maturity, sacrificial giving and compassion, and mentoring others in the way of Jesus are key marks of the ongoing, dynamic journey as apprentices of Jesus. However, we are often just muddling along the way. Meaning, these indicators are not about human achievement. (Lord, save us from that!) They are the result of God’s grace through our life together with God – Father, Son and Holy Spirit. The Outflow of Discipleship. As Jesus’livepage.apple.com presence in the world, we are a community demonstrating and proclaiming the immediacy of God’s Kingdom in our family and homes, neighborhoods, schools, playing fields, workplaces and greater global community. This, too, is an outflow of our lives conforming to the image of Jesus. Our Prayer: Dear Jesus, make us the church you wish to see in the world. Amen. For Further Reflection on Being the Church…. BE THE CHURCH is not simply an imperative to GO and DO SOMETHING! It is not an excuse to skip worship to do “social justice” or service projects outside the walls of a church building. Being the church originates in God’s promise, the crucified and resurrected Christ, and the work of the Holy Spirit and is a statement of fact about our essence, not our human efforts. We are a community reborn of God’s promise and grace. BE THE CHURCH is shorthand for our Spirit-fueled faith-response to love God, love our neighbor and follow Jesus. This is the result of God the Father, Son and Holy Spirit’s covenant to love and redeem and inspire us by his grace through Jesus’ death and resurrection, and the outpouring of God’s Spirit calling us into a new communal life conforming to Jesus’ image. BE THE CHURCH means to live into one’s calling as a baptized Christian, in covenant community, devoted to Jesus and his cause of reaching the lost, announcing and manifesting the Kingdom of God, and growing disciples. BE THE CHURCH means that our identity is rooted in Christ rather than our connection to a building that the church sometimes gathers in at particular times, on certain days. BE THE CHURCH means that we will remain clear that the church is NOT the building we gather on Sunday to worship in as a community. Jesus didn’t die on a cross for a building; he died for people. We believe in the resurrection of the body, not the building. BE THE CHURCH means that church membership is not a casual association with a bar set only as high as a pew on Sunday morning or providing shuttle service for children and youth to Sunday school and Confirmation. Is our congregation living into its redemptive calling to reach the lost and sacrificing a portion of our time, gifts and treasure to this end (both of which are the outflow of a grace-filled life with God)? BE THE CHURCH means that since the church is made up of people, not bricks, the cement holding First Lutheran Church together is intentional friendship marked by forgiveness, humor, humility, prayer, authenticity, honesty, and love. BE THE CHURCH means that we know what business we are in and who we are trying to reach. We are in the life-saving and life-changing business. Compassion and humility guides how we proclaim and demonstrate the love and good news of God with others. BE THE CHURCH means that we invest our resources in Transforming Relationships, Experiences, and Environments (TREEs) and divest ourselves from anything that does not help people grow Christlike in all dimensions of their lives. It’s more important to decide which ministries need to stop than what to add. Adding new seeds to a field full of weeds and rocks will not produce much of a harvest. BE THE CHURCH means that the mission field is not a sanctuary on Sunday morning, but our homes, neighborhoods, workstations, soccer fields, hunting cabins, bars, lake cottages, vacation spots, and all those serendipitous, chance meetings with someone who God sees to it cross our paths. Idea: Send out invitations for a “Invite a Friend to Church Sunday” with a map to your home address on it. BE THE CHURCH means that we live between the Table and the Field. YOU ARE THE CHURCH. Be what you are; what you are will change the world! Next: The Big Idea. While reading about Church of the Savior, Washington, D.C., and reflecting on a passage from Paul, Romans 8:38a, a big idea began to take root about what it means to be church. Ultimately, the church is the Body of Christ, the living presence of the collective, diverse Jesus in the world. Over the first four years of the transformational journey, our faith community wrestled with the meaning of our mission statement, especially, what “making disciples” meant. Paul suggests it means conforming to the image of Christ, a lifelong, communal process with implications for the whole creation. Read the story behind Church of the Savior: a journey inward, upward and outward. Big Idea: 2009 – present, Conforming to the Image of Christ. First Lutheran’s goal is to de-clutter and eliminate all competing ideas in order to focus solely on the one simple, big idea that matters to the Church. Why is this so important? Because churches are notorious for being busy with many things (even good things) while giving short shrift to the main thing – (Luke 10:38-42). Overcoming all the distractions “In sheep’s clothing” is a church’s first step to getting to the main idea. If you could say in one or two concise, descriptive statements or paragraphs why First Lutheran exists, what would you write? What are the sources of your inspiration for that concise statement of the Big Idea? Another way to ask the question to get at the Big Idea is: what happens in, through, with, and for whom as a result of our life together – rituals, habits, serving, community, worship, discipleship, stories, and evangelism? 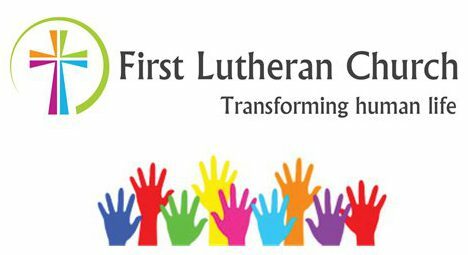 What results in people’s lives: seniors, children, youth, couples, singles, strangers, Lodi area community members, teachers, drug addicts, drifters, the abused, the hungry, the confused, the powerful, the poor and dispossessed in other parts of the globe, because First Lutheran exists and does what it does? Reflect on it for a while. Pray that God leads you to a response that reflects his desire in Jesus through you. Meditate on the Kingdom of God in Matthew’s Gospel, chapters 5, 6, and 7. At least, lean in the direction that God is leading you. Trust. Don’t worry about grammar and perfection or things that you are supposed to write. Put pen to paper and begin to write. Scratch out, rewrite, erase, wrinkle up the paper, and start again. But, write it. Reflect on it. Pray it. Jesus, the Lord of all creation, the Messiah, the Christ of us. Jesus in and through us for others, the community and the world. – the one who submitted to the will of God and obeyed it even to the point of death on a cross…for you, for me, for the world and made it simple, “follow me.” And, by grace we follow. To what end? Is it Jesus whom we are wrapping our efforts around? Is he our Big Idea…yet? What clutters, clouds, and confuses our life together and the reason we exist 24 hours/day, 168 hours/week, and 365 days/year? By faith and grace we are called to be Jesus’ real presence within the world we live – in homes, habits, holy spaces and broken places in the world where God’s rule is already present. “What Christ has done for us calls forth something from us—daily and hourly discipleship. His work for us then becomes His work in us. The goal is that we will be just like Him. As His disciple, Jesus teaches you to live your life as He would live your life. That leads to inner transformation, the transformation of character resulting in godly service in the kingdom of God. Transformation moves from the inside out. You take on His thoughts, His beliefs, and His judgments. They become yours. You feel as He did. Your body acts as He did. Your social relationships bear the imprint of His character, and the depths of your soul are renewed in a likeness to His.